Ronda quartz movement with Swiss parts. 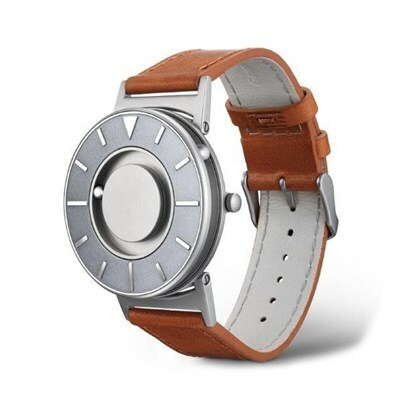 adjustable buckle with holes fits wrists 6 ¼ – 8 ½ inches (159 – 215 mm) in circumference, 20 mm strap width. The minimalist face of The Bradley Compass in Iris features raised hour markers brushed with a hint of color. 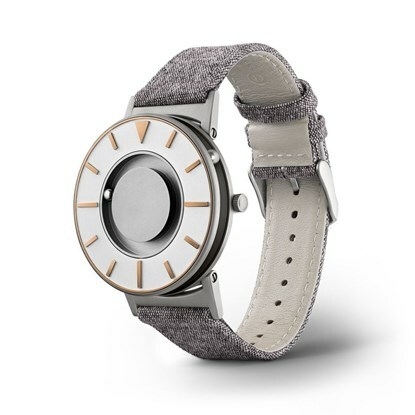 Crafted from a blend of stainless steel and aluminum, the case body of The Bradley Compass boasts a lighter shade than its classic counterpart. 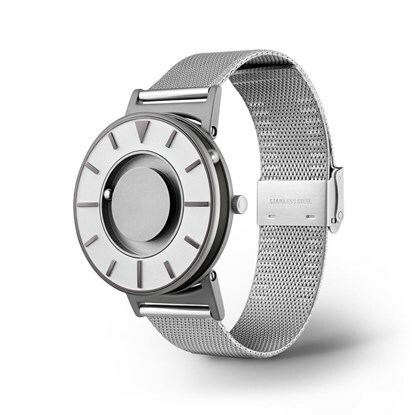 The minimalist face of The Bradley Voyager features raised hour markers brushed in a sleek mirrored finish. The ring around the timepiece face features a blended charcoal and dark blue hue in Cobalt variant or reflective hue that radiates varying shades of slate when angled in Silver variant. Crafted from genuine Italian leather and finished with detailed nylon stitching, the wristband adds to the durability and elegance of the piece.